We are the best in the business when it comes to window tinting for cars, homes or even offices. We boast 100% customer satisfaction. 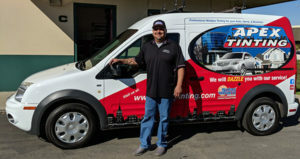 Our services in window tinting are second best to none in the entire central coast. We know you will be pleased with the results and with the professional service of our Technicians. Can’t beat the heat inside your car? Quality window tinting is our specialty, and will help you beat the heat. When the sun’s rays make you uncomfortable inside your car, call us to get your auto windows tinted, so you can start cooling off and save your car’s a/c unit from having to work as hard! Have a cracked windshield or car glass? There is absolutely no reason to worry. You may not have to replace your entire car windshield or window if you have a slight crack in it. If the chip is smaller than a quarter and does not block the sight of the driver, you can breathe a sigh of relief. We can repair it for you while other companies might ask you to get it replaced. Depending on the extent of damage, you may need to have the glass replaced. Our qualified Technicians will conduct a thorough assessment and then recommend a repair or replacement for your car windshield. We are just a phone call away. We at Apex Auto Glass value your time. Once you give us a phone call, our customer service staff will immediately arrange for an appointment with our technicians. Within no time, they will visit your home or office and get your issue resolved. We offer free windshield assessment so you can decide whether to go for a replacement or repair. We will not recommend you a windshield replacement unless it cannot be repaired. Our opinions are genuine and based on solid facts. If the crack in your window is small, we guarantee to complete the task with minimal cost and in minimal time. We also offer window tinting and repair for your home and office. Our charges are nominal and our services are trustworthy. 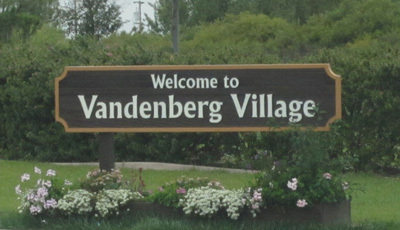 We are at your service for any kind of window tinting, repair or windshield replacement Vandenberg 93437.